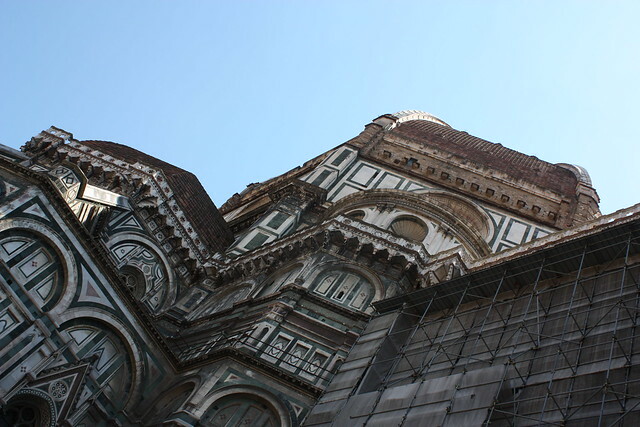 I never tire of photographing Santa Maria del Fiore -- or The Duomo as the basilica is called. The sheer size of the duomo means that no matter how many times you walk in or around it, you are always seeing something for the first time. The amount of architecture and decorative detail amazes me every time I look at it. After nearly eight months in Florence and having passed by it at least once or twice a week, I still haven't tired of it. Not long after we arrived in Italy we attended a really great art event at Palazzo Strozzi called SlowArt. To date, it's still my favorite cultural thing we've done since being in Italy. Why? Because we learned a lot about how to really appreciate the immense amount of art in our new city. Instead of breezing through an entire museum in 2-3 hours, SlowArt suggests instead focusing on a handful of pieces -- take time to learn a bit about them before you go (Wikipedia is great for tidbits on authors and paintings) and then really immerse yourself in the art. Stand close, stand far away, look a brush strokes, admire the big picture. You'll find that you remember each and every work of art that you've focused on. 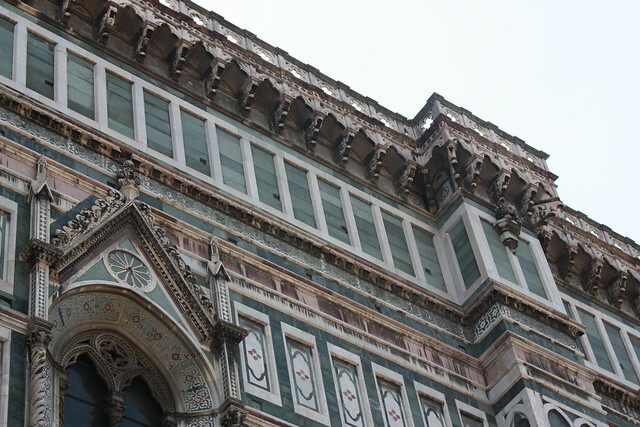 Sure, you won't be able to tell friends that you saw everything in the Uffizi, but you'll actually have detailed memories of what you did see. 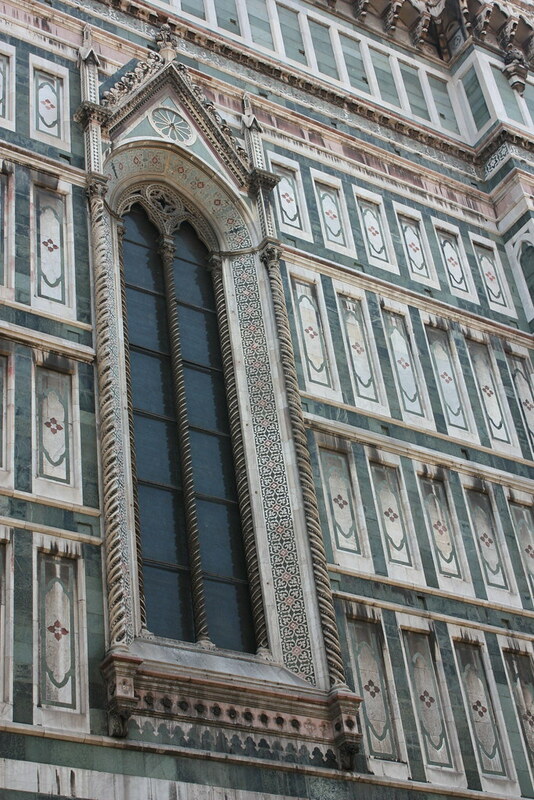 Anyway, I tell the SlowArt story because every time we go in or around the Duomo I try to focus on something entirely different -- arches, water spouts, marble, doors, floors, the roof, the ceiling...the list goes on. Since tourist season picked up we've mostly been admiring the exterior of the church; in a few months when things quiet down again I'm looking forward to heading back inside.